ID Waiter, Ireland’s innovative provider of an affordable easy to use ID card management solution has been selected to be one of the Startup 100 participants in Dublin Tech Summit (DTS) on February 15th and 16th. The Summit will bring together global leaders in innovation, technology and business to shape the future of global trends and technologies in the convention centre in the heart of Dublin’s ‘Silicon Docks. How was ID Waiter selected? ID Waiter was selected after an extensive selection process to be featured in the Startup100 programme as part of the event. Startup100 provides a platform for the top 100 most innovative global technology companies to network and display what they have to offer to attendees. ID Waiter provides an affordable easy to use ID card management solution to issue prompt identity badges to any mobile device or plastic card printer anywhere in the world. Aimed at clubs, societies and smaller organisations who either cannot afford or justify the spend on expensive visitor management hardware, ID Waiter provides a better solution. ‘Being part of this event provides a fantastic springboard for ID Waiter’ said CEO and brainchild behind the innovation, Colm Paul. ‘If you’re an event, security manager or membership coordinator, you’ll be familiar with the frustration of assembling, collating and verifying membership data prior to issuing an ID card. Our support team were flooded with calls on software related issues, everything from lost license keys, missing USB keys, windows updates not updating, missing data, photo management, merging multiple databases and MAC/PC compatibility issues… the list goes on, so ID waiter was born’. 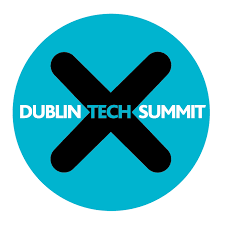 Where to find ID Waiter at the Dublin Tech Summit? ID Waiter will be at stand S095 on both 15th and 16th of February if you are looking for a demonstration of the product. Limited latecomer tickets are still available but hurry as they are selling out fast. Copyright © 2016 ID Waiter. All rights reserved.